An ecosystem is comprised of all the non-living elements and living species in a specific local environment. Components of most ecosystems include water, air, sunlight, soil, plants, microorganisms, insects and animals. Ecosystems may be terrestrial – that is, on land – or aquatic. Sizes of ecosystems vary; they could entail a small puddle or an enormous swath of desert. Likewise, natural ecosystems can look quite different from one another. Located in tropical regions, rainforests possess a greater diversity of plant and animal life than any other type of ecosystem. As their name implies, precipitation is significant, leading to dense, verdant vegetation. Trees grow very tall as they compete for sunlight, and animals live in their canopy. Forest ecosystems are common across temperate climates – areas where winters are cold and summers are warm. They usually consist of deciduous trees, which shed their leaves each autumn, and coniferous trees, which stay green throughout the year. Taigas are a type of forest ecosystem located in the far northern regions of the world. 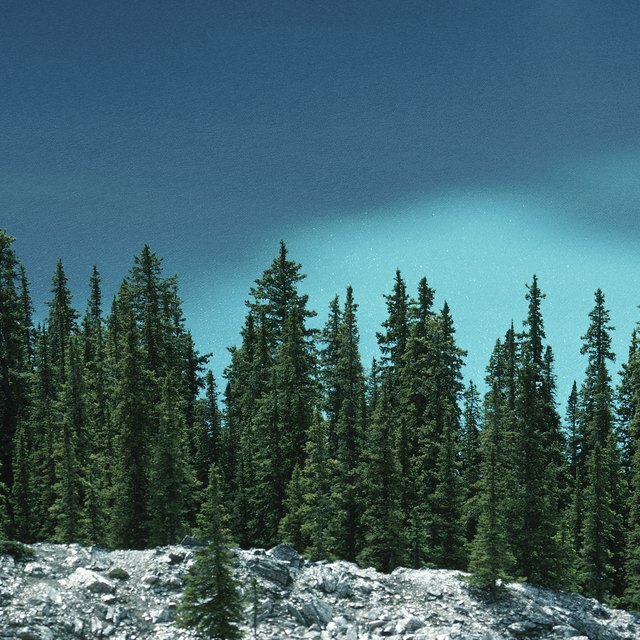 Also called boreal forests, they consist mainly of evergreen, coniferous trees, such as pine and spruce. Grasslands, located in semi-arid zones, contain wide, treeless expanses often inhabited by grazing animals. Sub-categories of grassland ecosystems include savannas, which are found in the tropics; prairies, situated in temperate regions; and steppes, which can be found in either climate. With a drier climate than grasslands, desert ecosystems are characterized by relatively sparse vegetation, and the number of insects and animals is also relatively limited. Deserts aren’t necessarily hot; they can lie in temperate zones as well. Nor must they be sandy; many deserts feature rock floors. Tundra ecosystems, located in polar regions or on the tops of high mountains, are frozen and snow-covered most of the year. Life is hard in these white, treeless swaths, but during the brief summer, snows may melt enough to expose lichens or small wildflowers and attract migrating birds. Various aquatic ecosystems can be found in stagnant or very slowly flowing waters. Lakes, ponds, bogs, freshwater and saltwater marshes, swamps and lagoons are examples of ecosystems found in stationary or nearly-stationary waters. Algae, plankton, underwater and floating plants, such as lily pads, may inhabit the calm waters. Consisting of flowing freshwater, river and stream ecosystems support a variety of underwater life. Their relatively fast-moving waters boast a higher oxygen content than that of stationary waters, allowing greater biodiversity among plant and animal species. Littoral zones are essentially coastlines, the often shallow parts of the ocean nearest the shore. The waters in littoral zones experience a significant amount of turbulence, due to wave action. Seaweed, barnacles, mollusks and crabs may be found in littoral zones. Coral reefs are often referred to as the “rainforests of the ocean” because these ecosystems teem with life – an estimated one-quarter of marine species rely on them for food or shelter. In addition to corals and brightly-colored fish, sponges, sea anemones, sea urchins and clams make their homes in coral reefs. Harris, Amy. "10 Examples of a Natural Ecosystem." Sciencing, https://sciencing.com/10-examples-natural-ecosystem-7836.html. 13 March 2018.